Here's just another variant in the Faceless Ones series I started a week or so ago. I'll probably do a couple more of these; they're easy and I like them. Out of order here, this one was built before Jet Rocka, but I wanted to get JR out sooner as I thought more folks would like it. This is just another animal-based Brain Attack MOC I threw together this weekend. Oh, and there's a surprise bonus at the end. A Brain Attack series MOC built up from a body I've had sitting around collecting dust for quite awhile, waiting for a purpose in life! 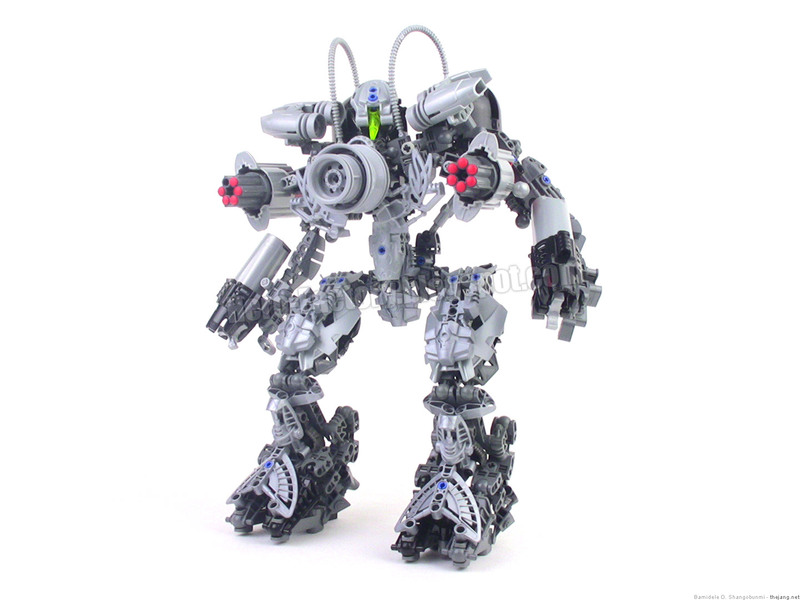 Today everybody is going all crazy about the release of Brain Attack wave 2 set names on Brickset. A little vindication for me & my use of the "wave 1" term with all of my Brain Attack reviews to date, from the start. Just one of the newly unveiled names caught enough of my attention to inspire a quick little MOC. Introducing my first idea of what a Jet Rocka could look like, built on a purely current Hero Factory style ball-and-socket skeleton. 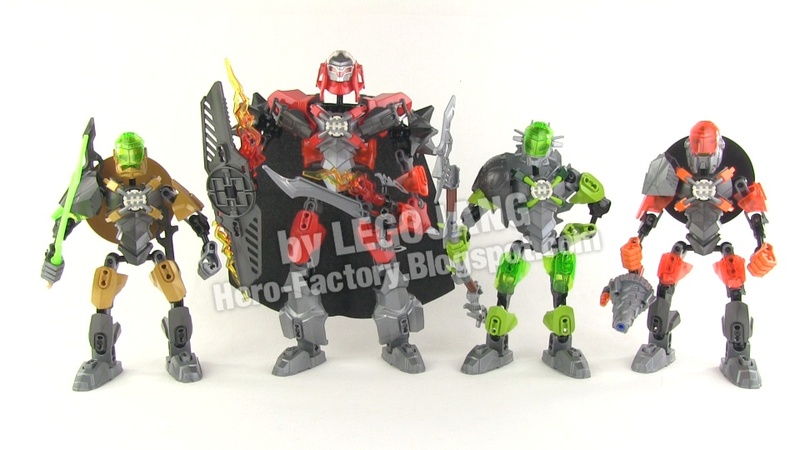 Some of the wave 1 Hero Factory Brain Attack sets just didn't come out right in my view, so I took the liberty of revamping them slightly to stay completely within the original size & style & intent of the official figures, while making them more complete & satisfying for my personal tastes. 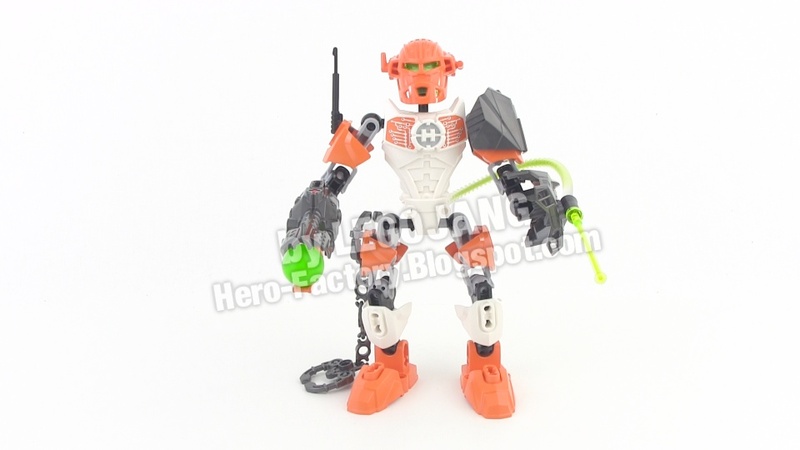 ALL Hero Factory Brain Attack Set Reviews complete! 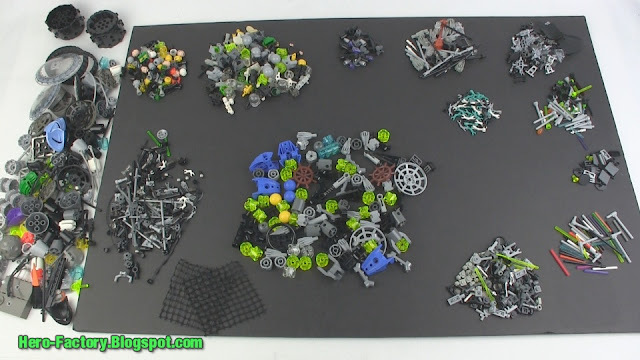 I went all-out for the past 24 hours and completed all of the "Spring 2013" LEGO Hero Factory Brain Attack set build & review videos, with more Brain Attack vids still to come! Hero Factory Brain Attack Furno XL Review! Hero Factory Brain Attack Rocka Review! Hero Factory Brain Attack Bulk Review! Hero Factory Brain Attack Breez Review! Hero Factory Brain Attack Pyrox Review! 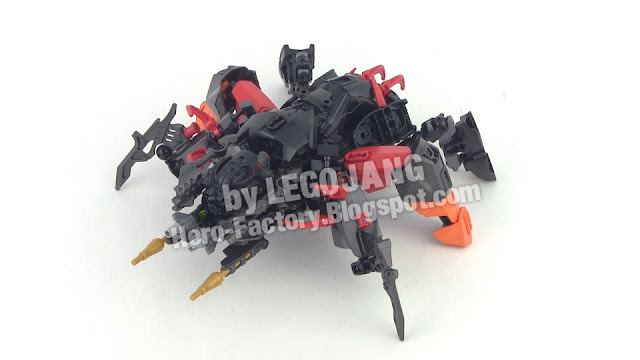 Hero Factory Brain Attack Scarox Review! 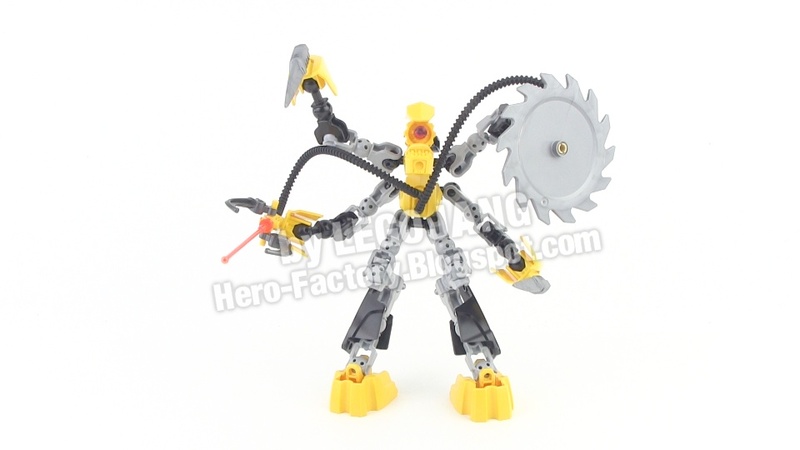 Hero Factory Brain Attack Bruizer Review! 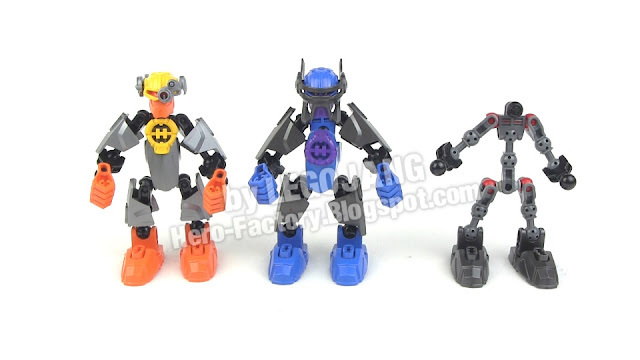 Hero Factory Brain Attack Ogrum Review! Brain Attack Furno XL (wave 1) review video! Yes! 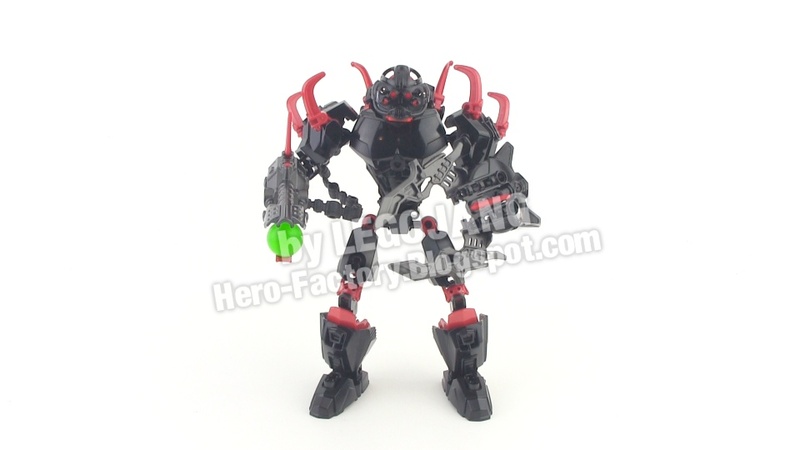 My first Hero Factory Brain Attack wave 1 review covers the big guy, Furno XL. This one is super long because it's my first in the series and there are some new things to talk about that are continued throughout this release series. If the video seems too long for you to be able to watch, just skip ahead to what you want to see! I Can Has Brain Attack? Yes, yes, I CAN has Brain Attack! Got really lucky yesterday and, well, it's explained in the video! Work on reviews begins soon! Video: I Can Has Brain Attack? My most recent Hero Factory MOC, an anti-hero with a little bit of back-story covered in the video. PS: New sets will be reviewed once they're available in my region. Just because they're out in stores in some parts of the world, doesn't mean they're available in my part of the world! Thanks in advance for your understanding & patience. 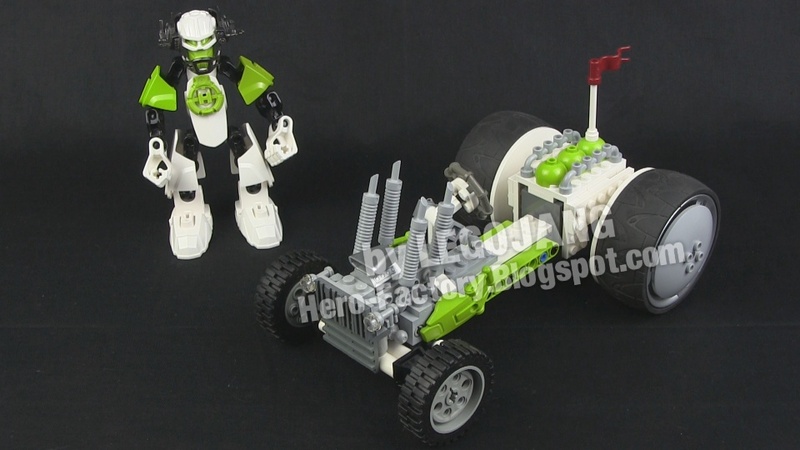 A couple old MOCs I haven't shown yet plus an update about what I've been up to. 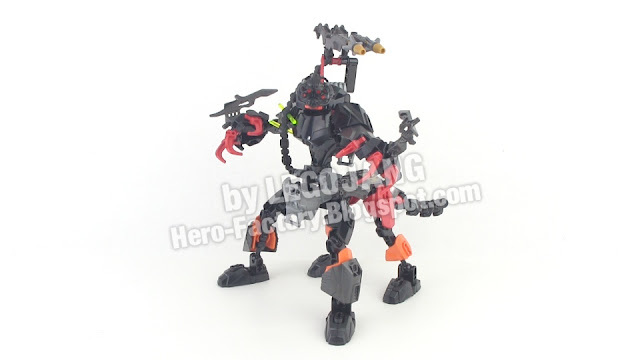 Included in this one is the Lucient Hydra MOC (pictured above) plus one other. A couple of custom Hero Factory MOCs (just getting the blog caught up). Hero Factory Breakout Wave 2 speed-BREAKING! 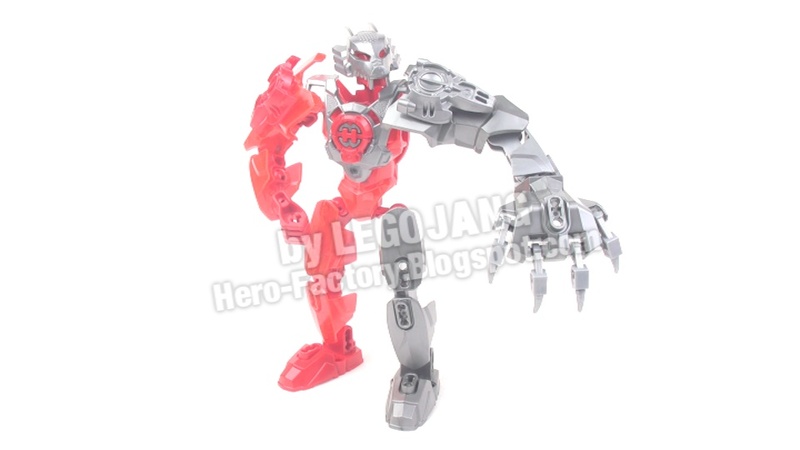 Every single hero and villain of LEGO's Hero Factory Breakout Wave 2 series gets broken down right before your eyes into individual pieces, all at once! Oh, the carnage! 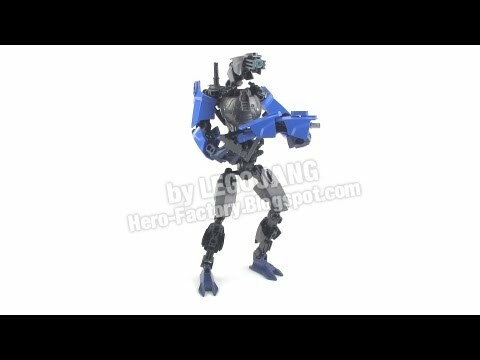 Video: Hero Factory Breakout Wave 2 speed-BREAKING! 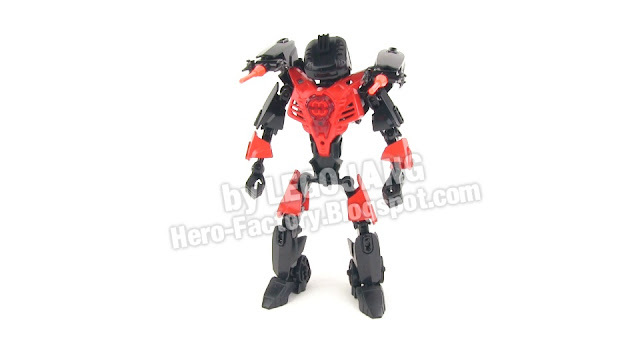 Hero Factory combination / combi / combiner models, anyone? 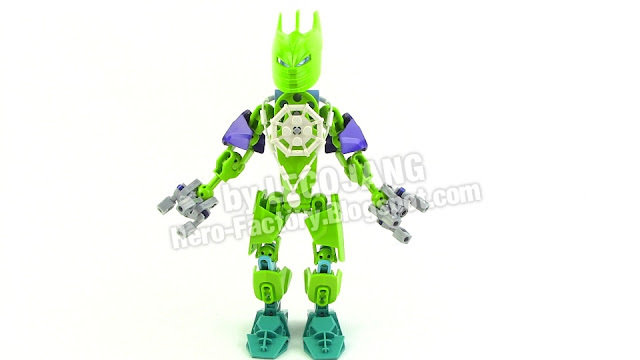 Here's what you get when you mix together the hero Nex and the villain robot XT4 the way LEGO suggests! 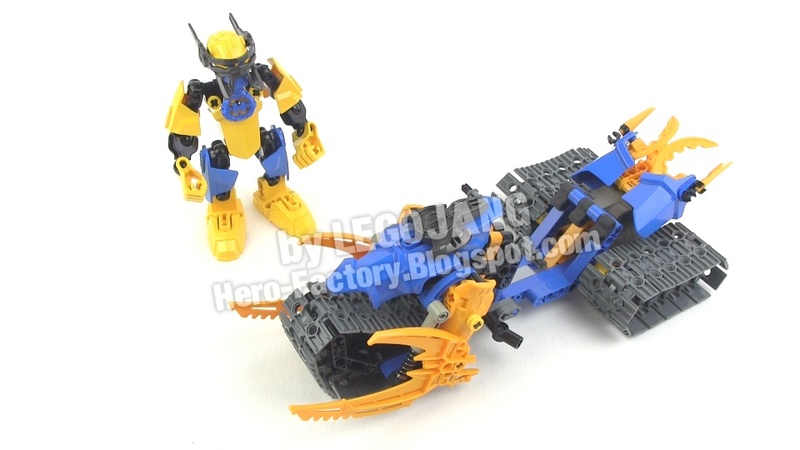 Oh no, it's the end of LEGO Hero Factory's Summer 2012 line! 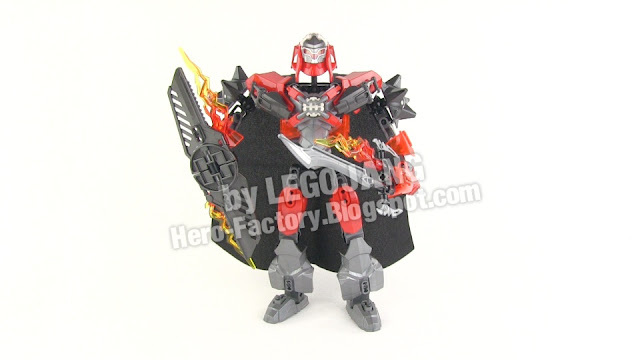 Closing out Breakout Wave 2 for me is the new version of Nex. 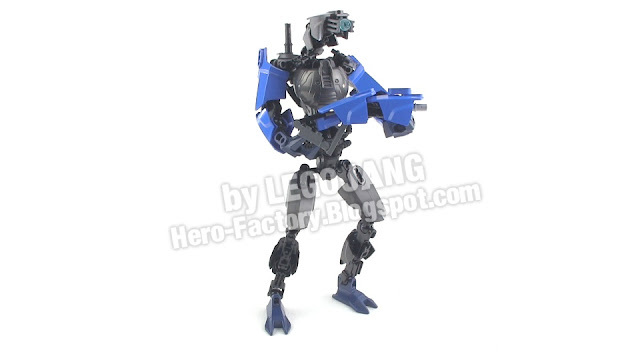 He's one of the two smaller characters of this wave, returning at about the same height as he started in original "2.0" form. Recaps & combination models are still to come! Well this is somewhat bittersweet. It's my last villain review from the Summer 2012 Breakout wave 2 series from Hero Factory. This XT4 character is curious and funny-looking, and I like him. 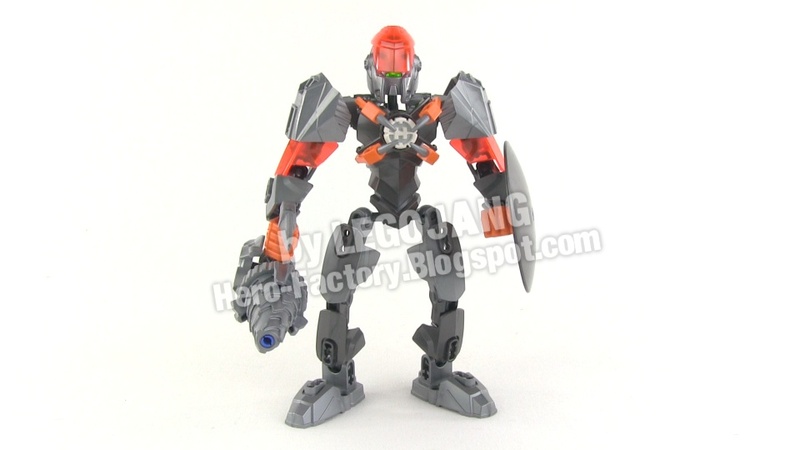 Stringer was the last hero to be released in the US from LEGO's Hero Factory Breakout series wave 2, for Summer 2012. In this review I give a quick overview of his parts, do a speed build, and then offer my thoughts on the completed figure and his changes from the original form. Here's my second LEGO Hero Factory Summer 2012 Breakout (Wave 2) villain review, Voltix, the electrified villain with his lightning whip & volt shooter! My unpackaging, build, and review of the hero Bulk from the Summer 2012 Breakout wave 2 series in the LEGO Hero Factory figure line. 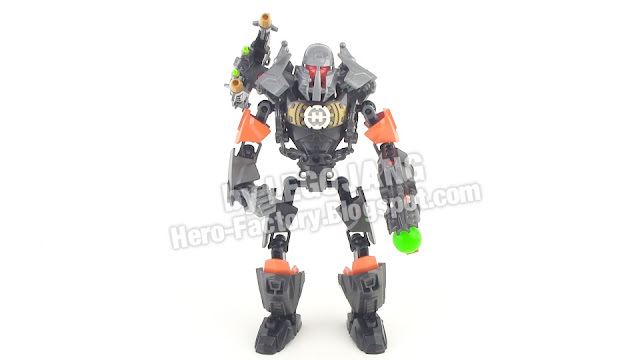 Continuing my LEGO Hero Factory Summer 2012 Breakout wave 2 reviews, here's a villain for your enjoyment! 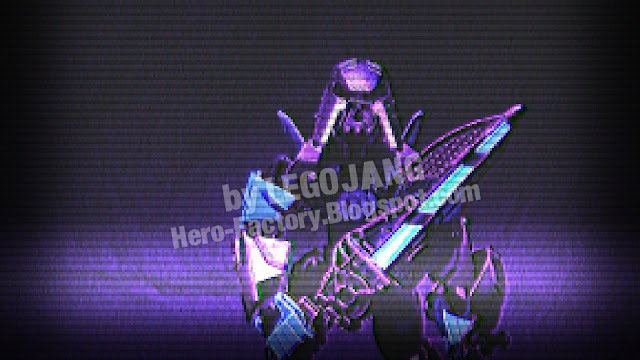 Beware, it's Core Hunter! About me quitting LEGO & other frequently asked questions! Did you die? Mmmm, no. No, reports of my demise are quite premature. Why have you stopped doing videos? I haven't. Since my last post here I've uploaded 122 videos to YouTube. Stop & think about that for a second. One hundred and twenty-two videos. Yeah. Just none of 'em LEGO-related. Have you quit LEGO? No, I just haven't had the time & motivation to dedicate to the LEGO world lately due to all of the other things going on in my life, including, but not at all limited to one hundred and twenty-two other videos. 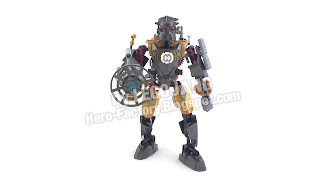 Will you review the 5.0 Hero Factory sets? 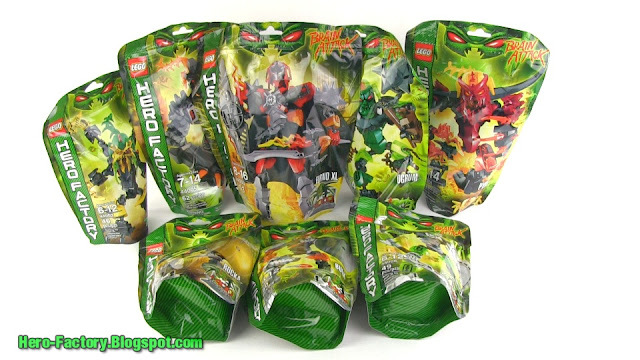 There are no "5.0" sets, but I will be reviewing the Summer 2012 Breakout/series 4 wave 2 sets. OK when will you review the Summer sets? Once they're available in my country (USA) and I buy them and receive them. As of the time of this post here, the sets are only out in a limited number of European countries. I don't have 'em, can't get 'em, and therefore can't review 'em. Once I can, I will. Is there more to the "Sempax" story to come? Oh most definitely. 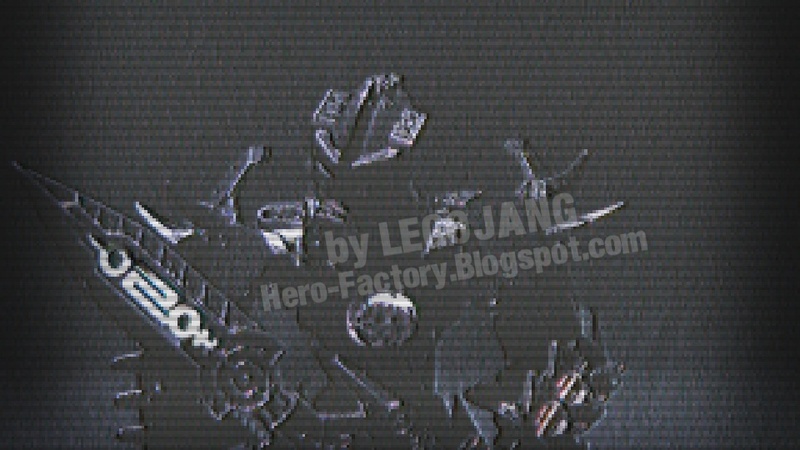 Here's another not-really-Hero Factory update I had no better place to share! Just a fun little thing I did the other day, for the heck of it. At least it uses mostly Hero Factory parts! 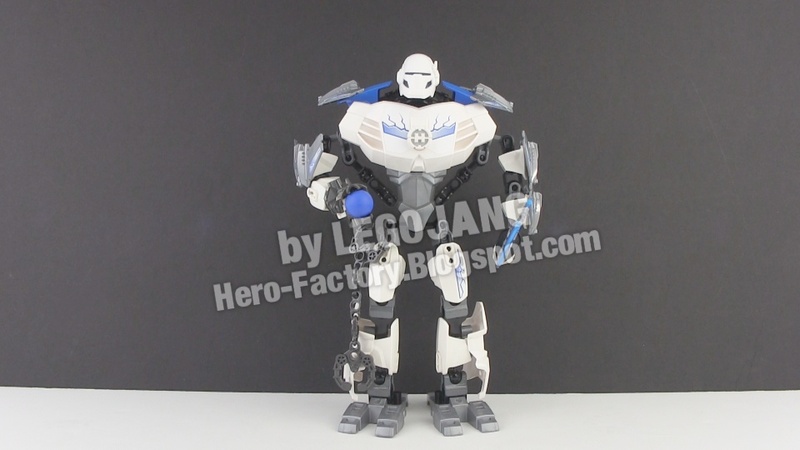 This is a Mass Effect 3 Geth Trooper MOC built primarily with LEGO Hero Factory parts, complete with little Geth Pulse Rifle. Not a perfect replica, not trying to win any contests, just a fun little thing on the side inspired by the game I'm currently playing! 106 comments - Post a response! 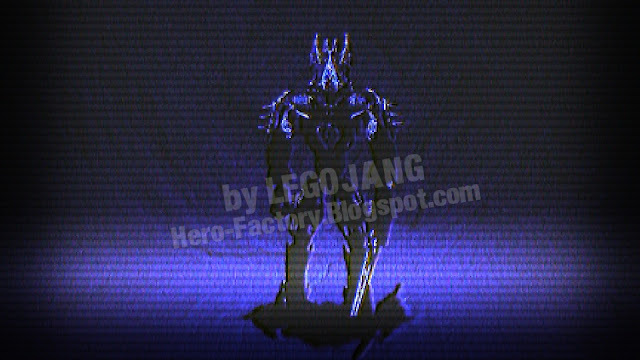 It has been awhile since we last caught a glimpse of Lorne, my Bionicle self-MOC that made the transition over to the Hero Factory universe. Given his dark and somewhat mysterious appearance, it's no surprise that many of you correctly guessed that Lorne would be caught up in this whole "Order" mess. I don't know about you, but I'm growing weary of all of these cryptic transmissions. It's been a rare honor getting such inside info, but without more of the backstory, it's difficult to piece it all together. I long to know more. A lot more. I think I'm going to call in a favor with an old friend soon. with the time of Goruz's transmission. Kyin ma gbi wu Or'Da, Sempax. (I honor the Order with you, Sempax.)" 87 comments - Post a response! "Kyin ma gbi wu Or'Da, Sempax. Alright, let's cut to the chase. playset, we're screwed, get it? Screwed! powers, not after it's too late, but now! Worry about PR and the tin-heads later. 83 comments - Post a response! Another day, another fuzzy, encrypted transmission directed to the "Sempax" and making reference to "The Order." It's a rare treat, indeed, to actually hear the voice of Onyx, normally the epitome of the "strong & silent type." 74 comments - Post a response! What you are about to hear is an encrypted, audio-only transmission sent out by fan favorite Specter, the perennial stealth specialist. It is the first in a series of personal pleas sent through a very convoluted network of communication relays not accessible by most Hero Factory personnel. We've heard rumblings about "order" in the past. What could it be? Who is the Sempax? What are the "Greys?" 34 comments - Post a response! 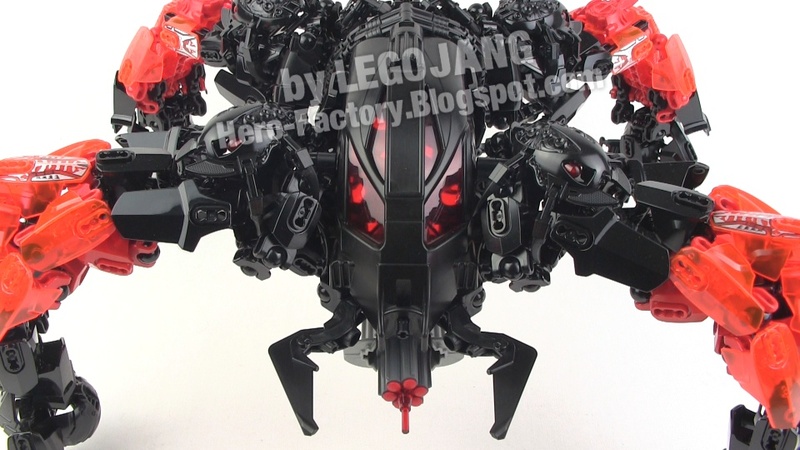 In follow-up to my Super Arachnix Drone and even more substantive Ultra Arachnix Drone, this Ultimate Arachnix is as far as I could stretch the theme with the parts I had, while doing my best to primarily rely upon the "Hero Factory" ball-and-socket LEGO action figure building system, and also sticking to a single color scheme. 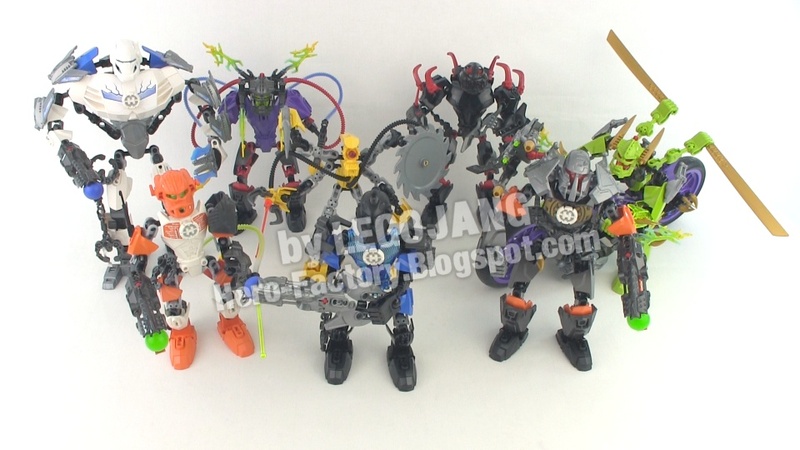 Even with the many duplicate sets I've bought in the past, this Ultimate Arachnix used up most of my black armor pieces, and all but one of my transparent red/orange pieces! 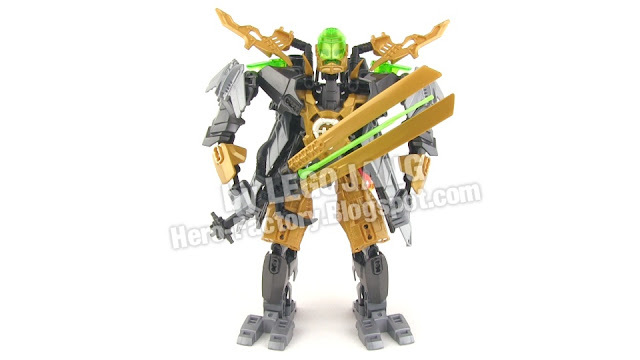 I was really happy to use 1.0 series hero torso pieces for the articulated shoulders of this beast, and you'll see some first season HF villain leg pieces (actually originally from the Ben 10 series, like it or not) used in the workings of the rear shoulders. I've been holding onto the Terrain Crawler cockpit since early in my Bionicle hoarding days, knowing some day I'd find a perfect use for it! 41 comments - Post a response! 49 comments - Post a response! There have been a handful of times in the past that I've posted about folks of wildly varying ages shamelessly taking photos right off this page and immediately re-uploading them to the official LEGO Hero Factory Gallery with new names & backstories. What I bring to you today, though, puts all of those previous reports to shame. Over the past few months I've been quietly collecting notes from readers like you both here and on YouTube who have pointed out various places my photos have shown up with other people taking completely undue credit. Over the past week, I went through the proper channels and got 21 of these... situations... corrected. 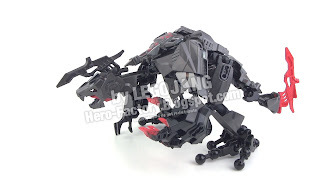 cameronhead tried to take credit for my Bionicle MOC "Greed"
dien3981, furkfrompork, and m1970arcelo each tried to take credit for my "The Drone" movie replica from Rise of the Rookies, which in turn wasn't even my design to begin with. The difference is that had the decency to explicitly state exactly what the creation was, what inspired it, where it came from, and, once I found out, who did the original design that then inspired the movie version. I also actually built the one I blogged about with my own hands and my own parts, and I took the photos myself. 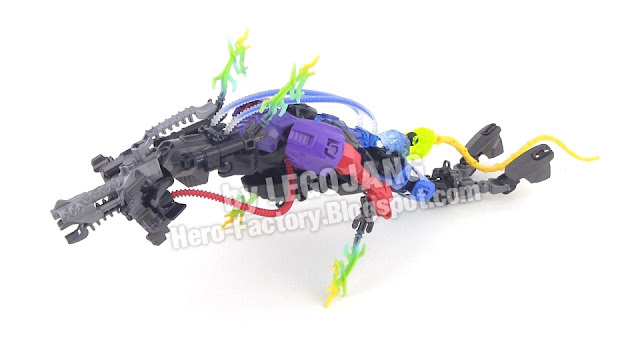 Also reported by a YouTube viewer, an eBay user under the name marshadharris put up a for-sale listing for all 3 of the 2.0-series hero combiner sets, and used one of my photos as if it was a picture of what he/she was selling. Thanks to some very basic laws out there that essentially say "you can't steal," all of the above entries in the offical HF gallery have been deleted, and the eBay auction was taken down. Once again I must thank all of you readers out there who report these things, and would appreciate any continued help since I really don't get much time to browse anything for any reason. I also don't desire to trawl the 'net looking for people who are trying to take credit for my work. I prefer to focus on making MOCs, testing RC cars & planes, spending time with my girlfriend, and doing other positive, enjoyable things. Some of them say they're in their teens. They know what they're doing. 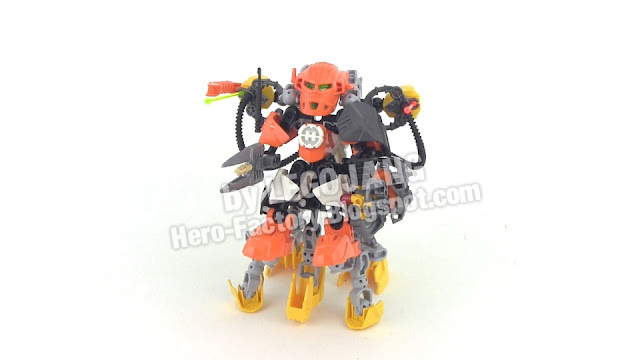 Many of them didn't just re-up the photos, they gave the creations new names and wrote descriptions saying how long it took them to build the MOCs or how difficult they were. They know what they're doing. Some know full well that they're taking someone else's work and calling it their own, but they don't think this is wrong, as long as they don't get caught. This is a failure of parenting, and needs to be fixed. Theft & plagiarism are wrong, and you won't get far in life with either. Some don't fully understand what they're doing at all, they're just moving around pictures that they like. I'm not mad at 'em, but they still need to know that on this planet called Earth, which they'll be living in for their whole lives, taking other peoples' stuff without their permission isn't something you should do. Simple as that. Blanko has returned to us, at least at a point in history, in Hero Factory Racer guise with his unbelievably lame "HeroCycle" 3-wheeled engineering mess. There's so much fail in this picture, I couldn't simply summarize it, I had to just break down & talk about it outright, and talk, and talk. This is my last Hero Factory Racers pair.... for now? Jill Zero-Six (actual designation JIL06) is one of the newest Hero Factory hospitality droids. This MOC features a very compact, but completely custom torso with 5 extra axes of articulation. Guest voice acting by my lovely & talented girlfriend. 30 comments - Post a response! It's time for a little more color in the Hero Factory Racers world, and Wolf has the answer with his tank tread-driven Prowler TripleTrak! 15 comments - Post a response! Just call me Mister PAB! See that? That's what I got in my first ever LEGO Pick-A-Brick order! Really convenient, really easy, and shipped within a week here in the US. I still prefer Bricklink for most special orders, but there was some stuff on PAB that was actually out of stock worldwide on BL at the time, and I ended up picking up some extra stuff on the side that I wasn't expecting. Hero Factory RACERS: Alba + the "Rad Rod"
Some of you will remember Alba 2.0. As it turns out, she was one of only two female Hero Factory heroes to join the RACERS program (the other was not Breez). She called her shockingly beastly ride the Rad Rod, and it took the honor of being the most powerful competition entry on record! 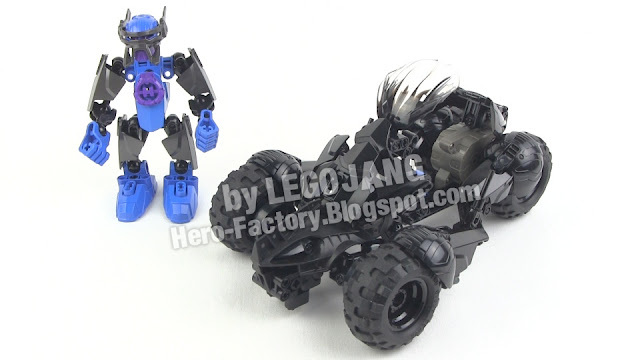 Video - LEGO Hero Factory RACERS: Alba + the "Rad Rod"
13 comments - Post a response! On to Hero Factory RACERS pair #4! This one brings back good old Specter 2.0, now in miniature form (and slightly updated since you last saw him), with his Shadowbane racecar. 31 comments - Post a response! Remember Ruze? 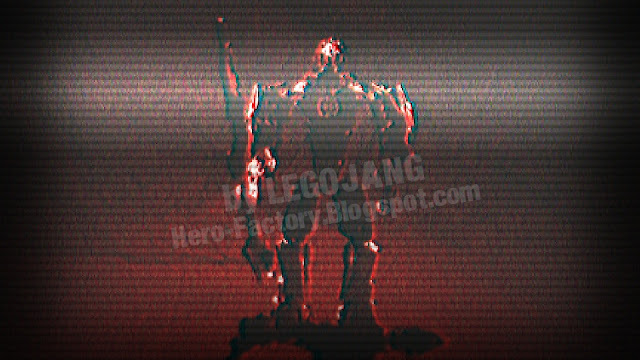 He was the Omega Team rookie who went from dunce status to hero among heroes after retrieving a sample of Fire Lord's armor, analysis of which allowed Assembly Tower scientists to hone the tuning of Alpha Team's weapons, ultimately leading to the defeat and capture of the entire treacherous villain gang! At the time, disbelief over Ruze's accomplishment was palpable in the air. How such a clumsy character pulled off such a dangerous mission with no help defied explanation. These days, though, the prevailing answer to the mystery is, "dumb luck." After his famous success, Ruze's popularity soared, and he was promoted to full hero status, eventually receiving the 3.0 upgrade for Savage Planet deployment. Sadly, all of the attention just went straight to his head, and he ended up spending much of his time just showing off (and usually making a fool of himself in the process). One time he was trying to "flex" and "floss" in front of Alba, he somehow managed to break his cloak field generator yet again, causing it to turn off on one side. He tried to recover from the mishap and take it in stride, but other rookies passing by saw the scene and gave him a hearty "BOOOOOOO," earning an obscene gesture in return. Ruze was humiliated for the last time. He walked off with his head down and soon resigned his post, taking up maintenance duty on a lonely nighttime detail.